FROM PANEL TO PANEL | February 2016 Graphic Novel Releases I’m Excited About! Can you just smell the awesome that’s about to head your way? Get your shopping carts ready because I’m gonna unload a bunch of awesome sounding comics onto your heads! ;) You will see my beloved popstar gods, a teenage president, reincarnated assassins, and so much more! 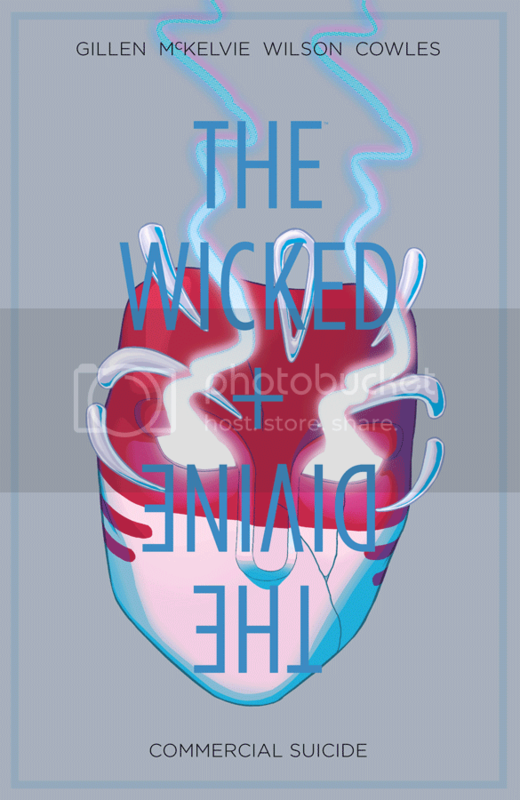 After the detonation of FANDEMONIUM the gods-as-pop-stars of THE WICKED + THE DIVINE try living in the long dark shadow. Team WicDiv are joined by a stellar cast of guest artists to put the spotlight on each of the gods. The multiple Eisner Award nominated series continues in the only way it knows how: darker, weirder, faster. Don’t worry. It’s going to be okay. Why I’m excited: IT’S HERE. I REPEAT, VOLUME 3 IS FINALLY HERE. CUE THE EXCITED SCREAMING. AND IT SHOULD BE IN YOUR HANDS NOW. They might call this “Commercial Suicide” (because the art can make or break this volume), but Kieron Gillen and the many artists deliver. This volume promises a lot of craziness—from the different art styles and what happens in this—that works perfectly. I was so struck by the wonderful commentary on pop culture, and it made me fall in love with different art styles that are showcase in this volume. I love it, and I hope you do too! 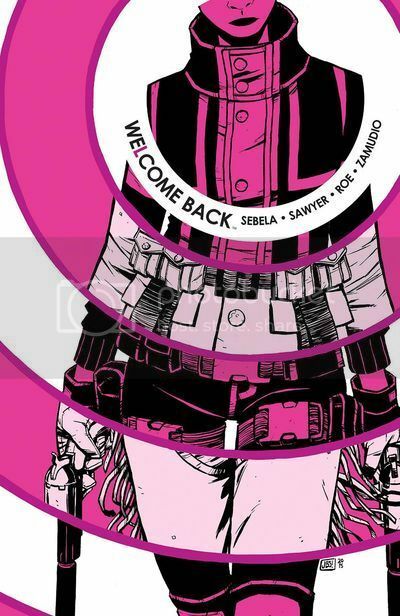 Critically-acclaimed series, Welcome Back is a break-neck thriller of reincarnated assassins forever fighting, killing, and loving each other, by Eisner Award-nominated writer Christopher Sebela (Dead Letters, High Crimes) and artists Jonathan Brandon Sawyer (Critical Hit) and Claire Roe. Why I’m excited: Reincarnated assassins. Need I say more? 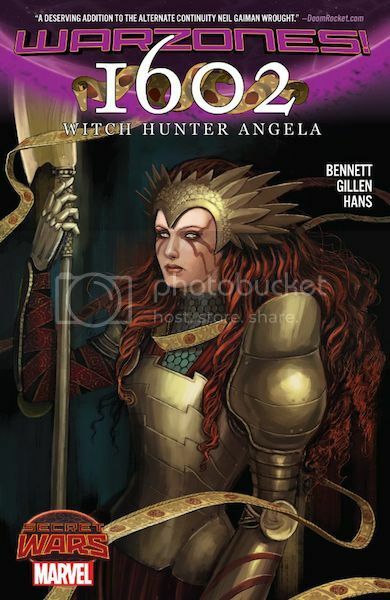 I n the altered realms of BATTLEWORLD, Angela and Sera are WITCH HUNTERS, the scourges of King James’ England, 1602. In a land beset by magic and monstrosity, they seek a new and seductive evil-not witchbreed, but deal-making FAUSTIANS, who bargain with ancient creatures for unnatural power! Moral ambiguity? Fancy allusions? Marguerite making the most of that English degree? 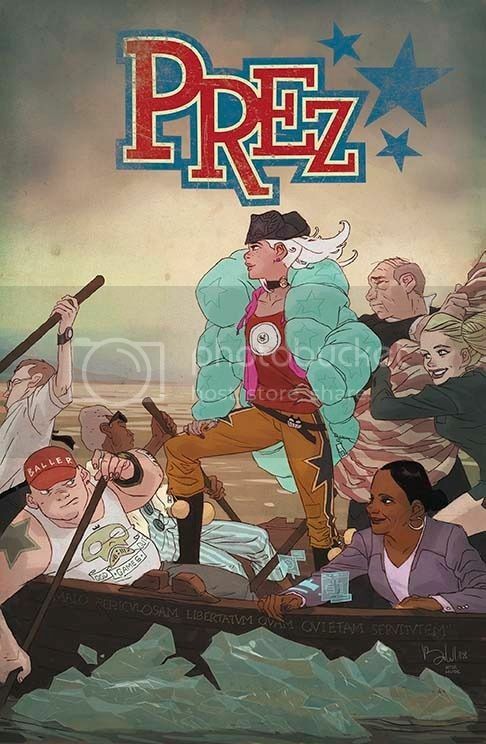 Written by Marguerite Bennett and Kieron Gillen, and illustrated by Stephanie Hans. Why I’m excited: Remember Angela? Thor’s long-lost sister? Well, in this alternate universe, she and her companion Sera are now witch hunters! That’s right! Witch hunters! Also, the wonderful Marguerite Bennett and Kieron Gillen wrote this, and Stephanie Hans did the art, which is super magical! And I could not be anymore excited! I’ve never really read comics except for the really old ones that my gran still has from the 70s but I’d love to start reading graphic novels and comics as I’m a huge fan of art as well as books so I think it’s something I will really enjoy! These all look really good, especially Prez!